This article suggests the main necessity criteria for harmonization corporate social responsibility (CSR) with the sustainable development goals (SDGs). Along with assessment of the impact of CSR in the external environment of the organization on socio-economic development, the study allows to take a fresh look at the role of the private sector in achieving the SDGs. Using the analysis of the practices the authors give recommendations on the implementation of the SDGs in CSR programs and suggest further managerial recommendations for stakeholders involved in international development cooperation. Dunaev O.I., Nagornov V.A. (2017). 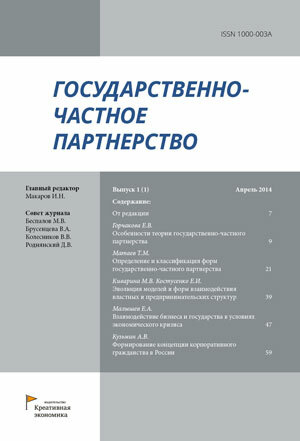 Harmonization of corporate social responsibility practices in order to achieve sustainable development goals [Garmonizatsiya praktiki korporativnoy sotsialnoy otvetstvennosti dlya dostizheniya tseley ustoychivogo razvitiya]. Public-Private Partnership, 4(2). (in Russian). – doi: 10.18334/ppp.4.2.38147.